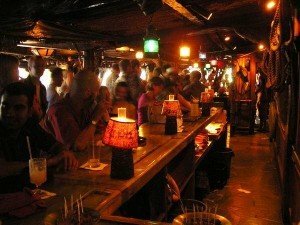 Make no mistake: The Miami Rum Renaissance Festival is the perfect place for newbies to get their feet wet and sample a wide array of styles, learning the basics about an incredibly versatile spirit that’s equally at home in cocktails and sipped neat. 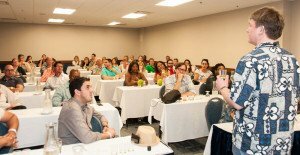 But the real treasure of the sixth annual event – which kicks off Monday with a test run of Miami Rum Festival Cocktail Week and culminates with three days of “grand tastings” attended by up to 15,000 – is the wealth of opportunities to meet and learn from the world’s foremost rum experts. For enthusiasts, it’s a unique opportunity to vastly broaden one’s knowledge of cane spirits and the rum lifestyle. 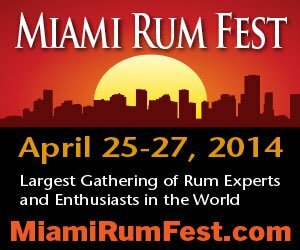 2014 Miami Rum Renaissance Festival: Friday, April 25, through Sunday, April 27, at the Doubletree by Hilton Miami Airport Convention Center. Tickets, hotel and more info at MiamiRumFest.com and Facebook. * Monday, April 21: Pop-up bar with cocktails from Caña Rum Bar in Los Angeles. At The Broken Shaker in Miami Beach, 9 to 11 p.m.
* Tuesday, April 22: Tiki cocktails in The Molokai bar at The Mai Kai in Fort Lauderdale, with optional Polynesian dinner show. Happy hour runs from 5 to 7 p.m. and the show starts at 8. 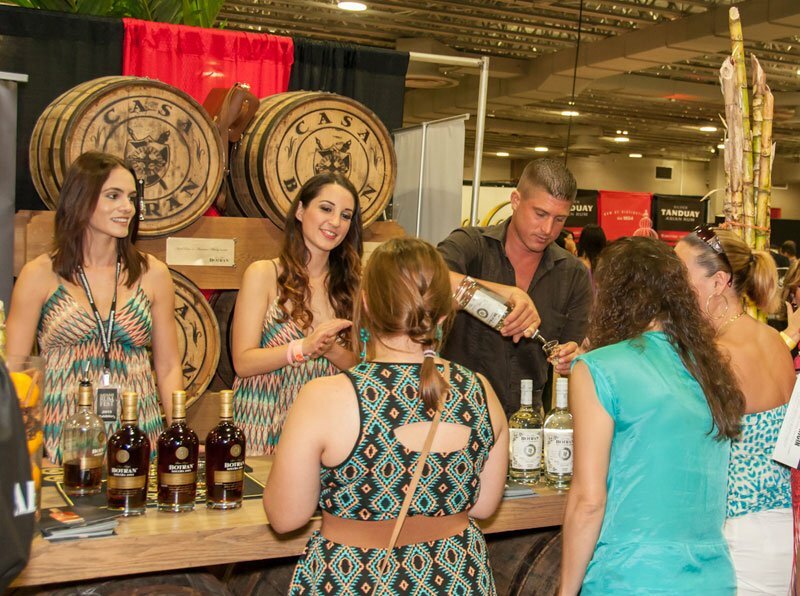 Rum Fest attendees get half off the show charge and a complimentary Don Q Anejo specialty cocktail. There will also be bus transportation (seating is limited) between the Doubletree by Hilton hotel and The Mai-Kai for only $15. E-mail RSVP@MiamiRumFest.com for more info. 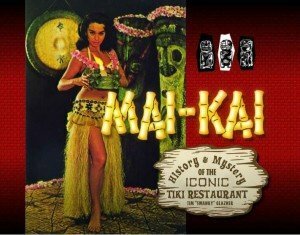 And be sure to check out The Atomic Grog’s Mai-Kai Cocktail Guide for reviews of all the legendary tropical drinks. * Wednesday, April 23: Bacardi VIP party in the penthouse at the esteemed rum brand’s headquarters in Coral Gables, 8 to 10 p.m.
* Thursday, April 24: Cocktails and poetry at Gramps Bar in Wynwood, 8 to 10 p.m.
* Friday, April 25: Cocktails featuring Papa’s Pilar Rum at The Corner in Miami, 8:30 to 10 p.m.
* Saturday, April 26: A tour of inventive Miami Beach hotel bars The Regent Cocktail Club, Drogerie and Lure Fishbar. Begins at 9 p.m.
* Sunday, April 27: Festival closing party with cocktails by Don Q Puerto Rican Rum at The Broken Shaker in Miami Beach, 8 p.m.
Get more information at MiamiCocktailWeek.com. Several of these events are on The Atomic Grog’s must-do list. The traditional party at The Mai-Kai is a no-brainer, and any opportunity to enjoy special events at The Broken Shaker, a James Beard Award-nominated bar, is a treat. If you’re feeling more upscale, check out the Miami Beach bar tour and the requisite Bacardi party. 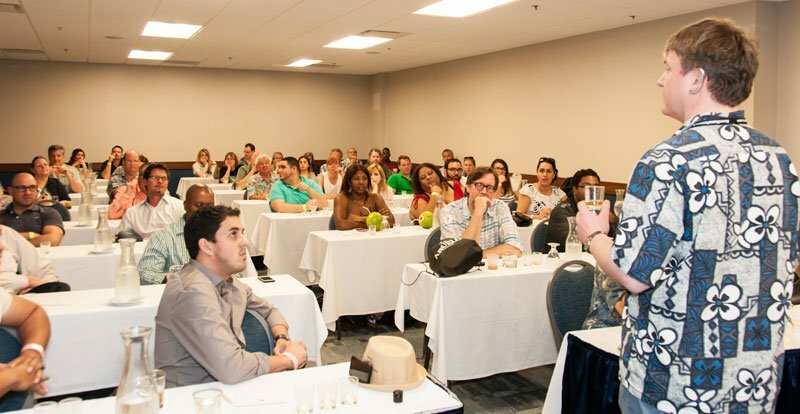 On Friday through Sunday, the largest group of rum producers, professionals and enthusiasts in the world converges on the Doubletree by Hilton Miami Airport Convention Center for three days of sampling hundreds of rums from around the world. 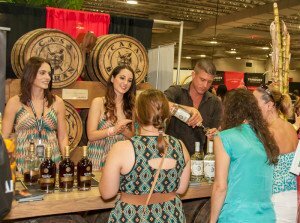 The 50,000 square feet of exhibition space is filled with booths for rum companies to tout their latest and greatest products. Friday is Trade Day, reserved for spirits industry professionals, press and VIPs from 3 p.m. to 7 p.m. The public Grand Tastings are 4 to 7 p.m. on Saturday and Sunday, but VIP passes get you early entry at noon. 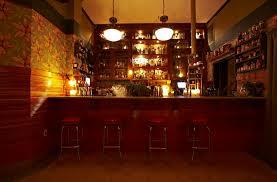 * 3 p.m. – The Art of Rum Tasting: Improving Your Sensory Experience, by David Cid. Improve your ability to detect the aromas and flavors commonly found in rum with expert techniques. Includes four rum samples from Bacardi. * 4 p.m. – Making Lost Spirits: Navy Style Rum, by Bryan Davis. Discover the science and art behind a distiller’s unique approach to making his award-winning rum. * 5 p.m. – The Discovery of El Dorado: Demerara’s Liquid Gold, by Shaun Caleb. Explore the history of rum’s association with Guyana, and the El Dorado brand’s traditions of distillation. * 6 p.m. – Falernum: The Flavor of Barbados, by Tyler Kok. Delve into the history and legend surrounding one of the most misunderstood tropical cocktail ingredients. * 3 p.m. – How to Taste Rum Like a Judge, by Bernhard Schafer. 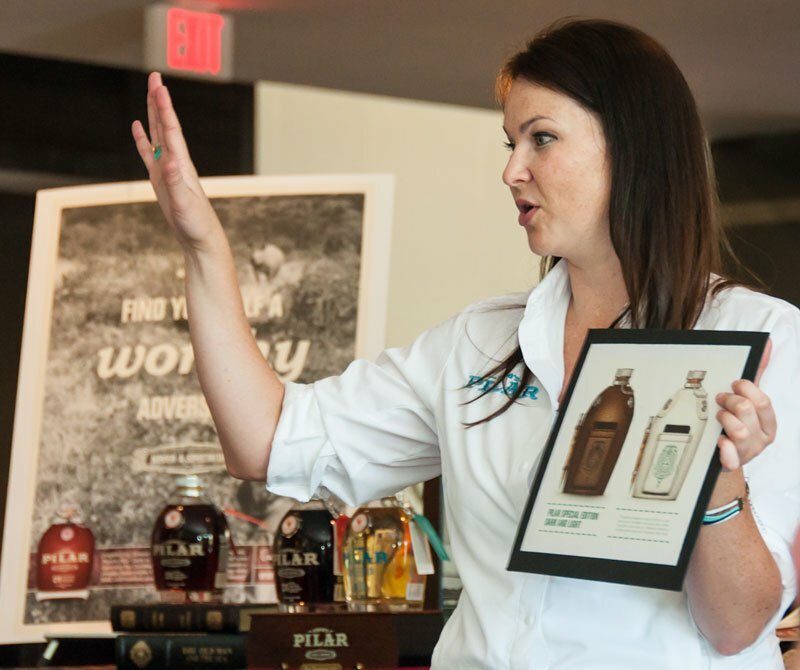 Get advice on discerning qualities of fine spirits in a blind tasting from a master. * 4 p.m. – The Wonderful NEW World of Tiki Cocktails: 10 Reasons Why It’s Here to Stay, by Ian Burrell. The global rum ambassador traces the ups and downs of Tiki cocktails and details its recent steady growth in popularity around the world. * 5 p.m. – Discover Agricole With Rhum St. Barth, by Paul McFadyen. The owner of the acclaimed Trailer Happiness bar in London explains his love of this unique style of rum. I’m hoping to attend quite a few of these and report back. It’s great to see Demerara rums finally represented at the fest by the venerable El Dorado, and it will be interesting to learn more about falernum, a crucial “secret weapon” in any Tiki bar. Of course, it’s a treat to have Ambassador Burrell back with a new seminar that promises to enlighten, entertain and educate. Click here for more information on all the seminars. 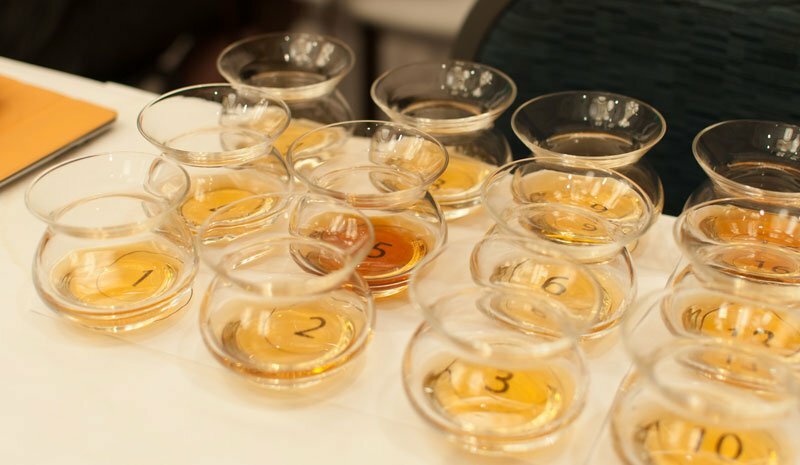 If you’re attending Trade Day, you’ll also note several special presentations on the main stage, including the annual RumXP Tasting Competition Awards. Also, be sure to check out the cool merchandise at the Island Lifestyle Showcase. There will also be live music and other entertainment during the weekend, and plenty of food is available on site and at nearby hotel restaurants. You can find a map of the exhibition space here (the escalator leads upstairs to the seminars). If you’re still looking for a hotel room, click here for more info. TICKETS: Daily general admission tickets are $50 per day, and VIP passes are $75. A three-day VIP ticket is $150. Click here to order, or call (877) 855-3378. Parking at the convention center is $5 per day, including in and out. This entry was posted in Cocktails, Events, Events, Mai-Kai, Rum, Rum festivals, South Florida and tagged agricole, Bacardi, Broken Shaker, cocktails, El Dorado rum, falernum, Ian Burrell, Mai-Kai, Miami Rum Festival Cocktail Week, Miami Rum Renaissance Festival, Molokai bar, rum, South Florida. Bookmark the permalink.